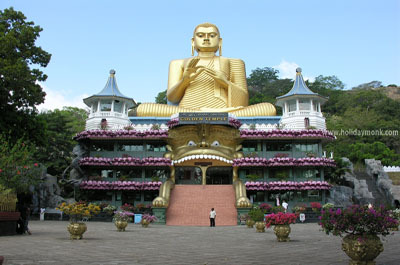 Talacauvery is the place that is generally considered to be the source of the river Kaveri. It is located by Brahmagiri hill (not to be confused with the Brahmagiri range further south) near Bhagamandala in Kodagu district, Karnataka, 1,276 m. above sea level. However, there is not a permanent visible flow from this place to the main rivercourse except during the rainy season. A tank or kundike has been erected on a hillside by kodavas, at the place that is said to be the origin. 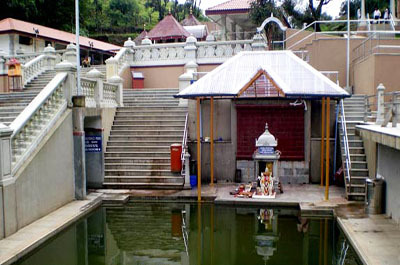 It is also marked by a small temple, and the area is frequented by pilgrims mainly it is the worship place of kodavas. The river originates as a spring feeding this tank, which is considered to be a holy place to bathe on special days. The waters are then said to flow underground to emerge as the Kaveri river some distance away. The temple has been renovated extensively by the state government recently . 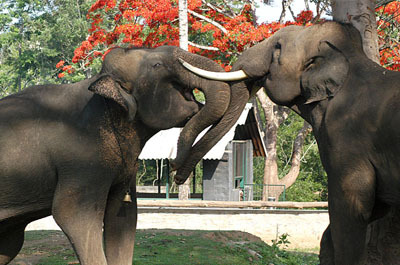 Dubare Elephant Camp, which is located near Madikeri, is a famous elephant training camp. The deciduous forests of Dubare are home to several species of wild animals and birds. Asiatic Elephants, sambhar and the spotted deer are among some of the animals that can be easily spotted. 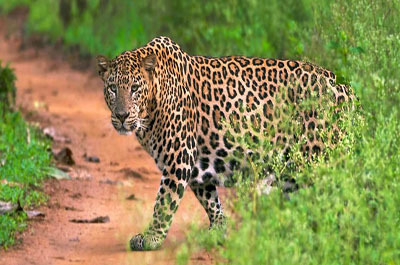 Besides, Indian Bison or Gaur, crocodiles, peacocks, patridges, kingfishers and woodpeckers can also be seen. This elephant camp caters to both overnight guests as well as day visitors. Jungle lodges and resorts have 10 cottages, golghar and bar. Wildlife safari, joyride on the elephant and coracle ride are among the major attraction of this camp. Golden Temple Bylakuppe is a Tibetan settlement area established by Lugsum Samdupling in 1961 and Dickyi Larsoe in 1969 and is situated to the west of Mysore District in Karnataka. It is about 6 kilometres from the twin town of Kushalanagara and is home to the magnificent Namdroling Monastery or Golden Temple. 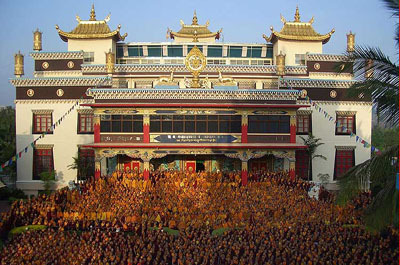 Namdroling Monastery is the largest teaching centre of Nyingmapa, a lineage of Tibetan Buddhism, in the world, and houses over five thousand monks and nuns. The town is a delight to visit during festivals such as the Tibetan New Year (Losar), which is celebrated with much fervour at the monastery. The Golden Temple, which is a popular tourist attraction, has three resplendent golden statues of Buddha Shakyamuni, Padmasambhava and the Buddha Amitayus.